We at National Provider Compliance Corporation believe that when healthcare professionals are compensated fairly and on time for their services, our nation's healthcare environment can be revolutionized. This simple yet powerful concept is what spurred us to write the syllabus for our landmark "Local Medicare Changes" course. 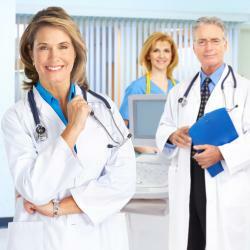 The principals of National Provider Compliance Corporation have been in the business of educating healthcare professionals since 1982. Our decades of experience and interaction with healthcare providers allowed us to fully understand the scope of the problems facing providers today. Providers nationwide are simply being underpaid by Medicare and private insurance and accepting it as the status quo. Fortunately, that doesn’t have to happen, and we can show you how it can be avoided. The mission of National Provider Compliance Corporation’s "Local Medicare Changes" continuing education program is to provide on-going, high quality, affordable training to healthcare providers to assist them in managing their practices. Our courses are designed to help you navigate the myriad of compliance changes that take effect every quarter, while obtaining the maximum legal compensation for your services, and freeing up more office time to deal directly with the people who matter most in our field: the patients.